Rural Holiday House for 4 (+1) person, close to the beach, with private pool and chill out , 2 bedrooms, 2 bathrooms, WiFi, walking distance to shops and restaurants,. 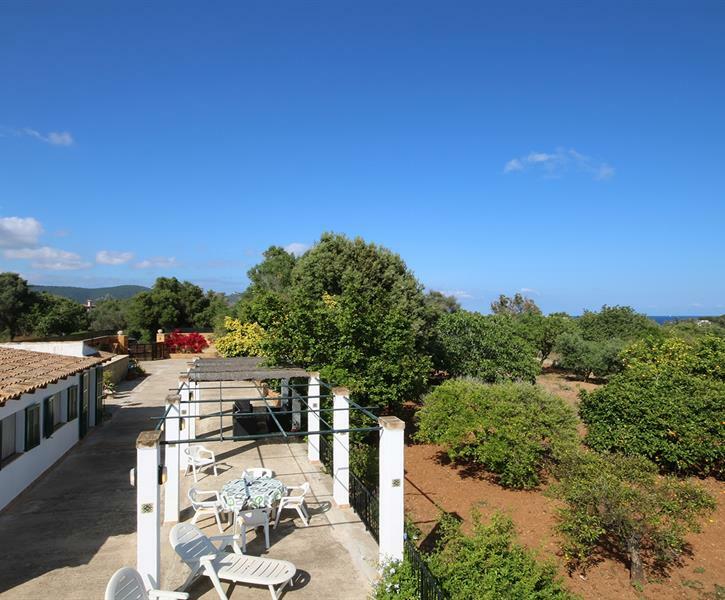 Nicely refurbished Finca but too much "quirkiness" and not much practicality. Overspent on rebuild underspent on facilities. Inconvenience being spread over 3 detached buildings and no covered (waterproof) areas therefore nowhere to sit outside if it rains and continual putting cushions inside and getting them out again. Kitchen with no storage therefore all glasses and plates stored in separate building with a 20 yard walk both ways. Second bedroom with no covered access to toilet which is 30 feet away. Cheap and uncomfortable interior furnishings, towels etc, Main bedroom needs blackout blind/curtains (not even lined) on patio door window which faces morning sun (so bright wakes you up) and gets very hot. No information provides eg how washing machine works, where nearest supermarket or restaurants are. 2 coffee makers both of which did not work. No kettle. No hairdryer. No full length mirror. Shower very dark and needs more lighting. If you are here with children you will be locked away at night in separate buildings. Pool not ideal for children as it is raised with no fencing. Vi spenderade en vecka vid detta hus och njöt massor!! Ett av de bättre boendena som vi har haft. Lagom promenadavstånd till strand och restauranger. Rekommenderar att du hyr bil. Om jag ska säga något som kanske är mindre bra så är det att tupparna från granngården galer konstant från 0400-2100 och att poolen inte rengörs under en veckas vistelse. Sen är sovrummen i separata hus, skönt om du har större barn men kanske inte alls bra om barnen är för små. Vi havde en dejlig ferie i dette skønne hus og kan varmt anbefale det.